This page features our discount dates for 2019. As you may know, we travel all over the UK providing “It’s A Knockout” for charity days, family days, team building events and more. This travelling means that sometimes we have gaps in our diary where customers can benefit from a discounted price. 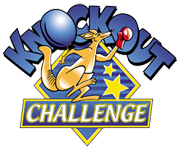 With three independent travelling “It’s A Knockout” shows on the road, we will have one in your area at some point this year ! Sometimes we have the opportunity to offer discount dates as we are travelling to or from other events. On this page are a selection of already booked dates (it’s not a full list so please contact us with your date anyway). If you are planning a “Knockout”, and your area is within 150 miles of those listed below and your proposed date is within a day or so either side of the dates listed, please contact us to see if we can offer you a discount date for the relevant “Show” that applies to the date below. Please note this is NOT a datesheet, but gaps between date(s) or runs or events, and is a live fluid list and subject to immediate change. Please contact us with details of your event as other dates may be available.